Summertime is one of the best times to hike, but also one of the most difficult due to the hot weather. With the sun beating down on your back and the humidity out of control, many people prefer to just sit in the air conditioning as long as possible. If you still want to get outside this summer but don’t want to be burdened by intolerable temperatures, then take these easy hikes to do what you can. This is a great trail to visit this summer if you’re coming with a family, as it’s not too difficult and can be viewed as more of a relaxing walk than a hike. The trail runs from about 1.5 miles to 6 miles, and can be as long or as short as you want. It has beautiful scenery (of course it does, it’s in Glacier National Park! ), and you and the kids will enjoy the easy transition to the hike from the boardwalk, and the colorful wildflowers along the way. Grand Teton is home to a lot of difficult hikes. But, if you don’t want to be outside all day, then take the String Lake Loop Trail for a nice day hike. This is one of the easier hikes you can do if you don’t have all day to spend and you just want to keep it simple. The trail is a loop (hence the name), and is only 3.8 miles. It’s paved in some parts to give your feet a rest. While you go along, you’ll get great views of the mountains, including Mt. Moran. Come in the early morning when the weather is cool, admire the lake views, and maybe even catch some wildlife! New York is beautiful any time of the year, but there is something truly special about it during the summertime. Even if you didn’t go to camp up here or visit your family’s lake house in the summer, there’s nothing like spending a summer’s day (or weekend) in the Adirondacks. While you’re here, don’t miss out on an easy hike up Sleeping Beauty Mountain. This trail takes about three and a half hour long, but will feel like much less. When you reach the summit, you’ll see lines of evergreens surrounding Lake George below. It’s not for certain where this mountain gets its name, but it’s most likely because the top looks like a woman sleeping. There’s a lot to see in Yellowstone, and people come from all over the world during the summertime to get a glimpse of as much as they can within it. However, if you want to try and avoid the crowds and not be dominated by the scorching summer heat, then try the easy Wraith Falls Trail, which though is small, has a lot to offer. 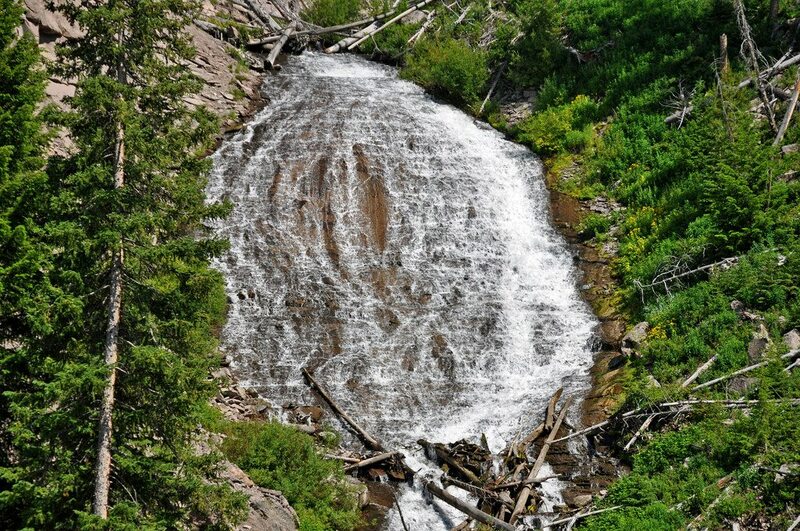 The hike is less than a mile round trip, which will lead you to the 100-foot cascade. If you visit towards the end of summer, you will see raspberries lining the trail. So, this one might be a bit harder than the others on this list, but it’s definitely one of the easiest trails in Big Bend. Big Bend National Park in Texas will no doubt be hot this summer, so there’s no point pushing yourself extra when the heat is already too much to bear. The trail is a moderate one, three miles up and three miles down, and there are plenty of points to stop along the way and admire the vistas below. Pack a lunch, and come early in the morning to escape the sun. The Ozarks in the central U.S. are an awesome place to spend the summertime, especially if you’re camping out with small children. Here, there’s plenty of wildlife to see, including unique plant species, some of which can only be found in this area. If you’re looking for a peaceful hike, then visit the Erbie Trails, which is network of easy trails that will provide you with the calmest and most stunning hike you could possibly do in the summertime. All of the trails combined equal to little over seven miles. Walk by historic farmsteads, waterfalls, and vibrant mountainsides. Anywhere in Arizona is fair game when it comes to finding breathtaking hikes, especially in the summertime when the sun so beautifully reflects off the canyon walls. While many people come to this side of the country ro conquer more difficult hikes, there’s no reason you can’t take it easy here. Do so on a hike like the Wild Dog Trail in Saguaro National Park, which is not too far from Tucson. It’s a little less than a mile long, and you can bring your dog to help you make your way up, too. Though, you probably won’t need much help on this simple trail. Take it down a notch by doing one of these easy hikes this summer!